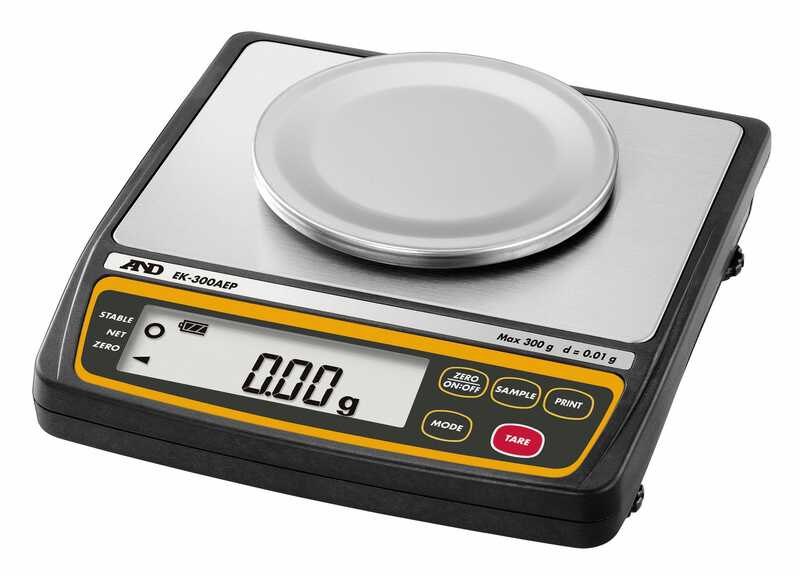 The EK-AEP series realizes highly precise weight measurement (resolution: 1/12,000 - 1/30,000) in potentially explosive environments by limiting its energy to a level insufficient to cause sparks or heat that can ignite flammable gases or vapors. You can comfortably bring the balance to locations where ignitable concentrations of flammable gases, vapors or liquids are present continuously or for long periods of time under normal operating conditions (i.e. Zone 0, or Division 1 in the US). The intrinsically safe construction, battery operation and materials used all render the EK-AEP series easy to carry and extremely affordable while achieving excellent explosion protection. The battery-operated (life approx. 250 hours, with backlight off), self-contained device allows you to avoid complicated wiring via a safety barrier. The EK-AEP series is also equipped with an optical connector from which it can output weighing results to a device in a distant safe area via optical fiber cable and an AD-1611 optical communication adapter (both sold separately). 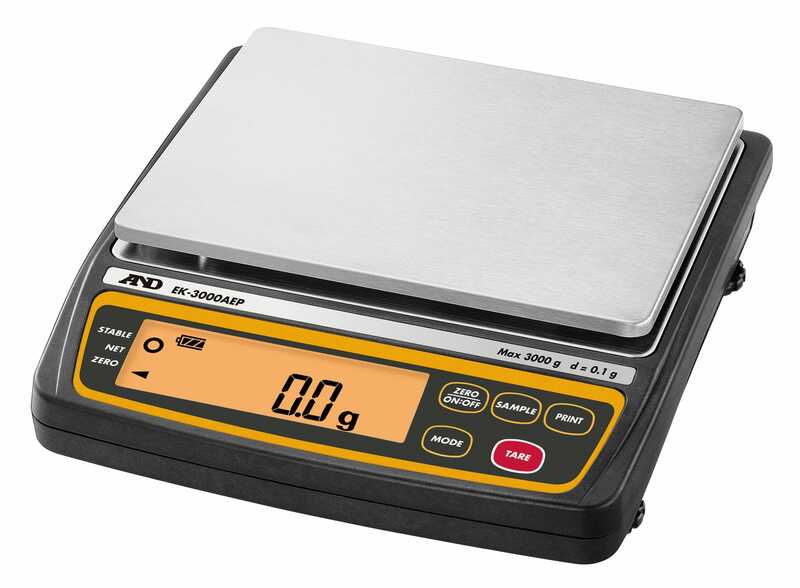 On top of that, the EK-AEP series is equipped with various functions that make your weighing tasks easier, such as the piece counting function, percent mode function, comparator function, multiple units of measure, etc. Three models are available for the EK-AEP series; namely, EK-300AEP (300 g × 0.01 g), EK-3000AEP (3000 g × 0.1 g) and EK-12KAEP (12 kg × 1 g). 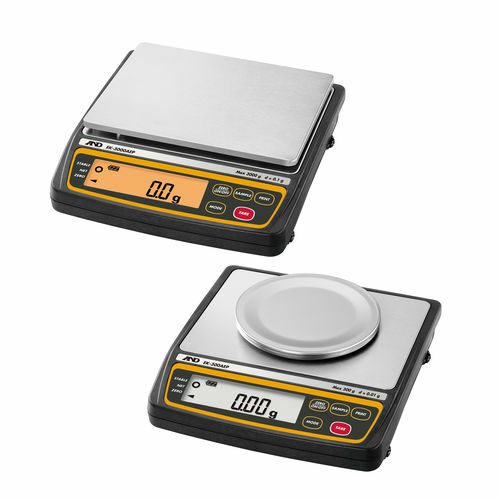 They all come standard with a hygienic and chemically resistant stainless steel (SUS304) weighing pan.